Only five days after hitting the web, the Vlogumentary trailer is approaching 800,000 views. 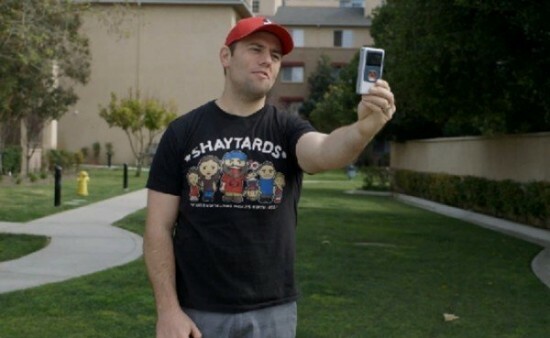 The documentary about video blogging is directed by Corey Vidal, and executive produced by Shay Carl. The two veteran vloggers released the trailer during a main stage presentation at last week’s VidCon 2013 to thunderous applause and plenty of tears. Vlogumentary, which was previously titled I’m Vlogging Here, looks to be a poignant and honest portrayal of the impact of web video. The film explores the beginnings of many of the most popular YouTube channels as well as the art of vlogging. Prominent YouTubers such as John and Hank Green (Vlogbrothers), Grace Helbig (Daily Grace), Toby Turner (Tobuscus) and many more are featured alongside dozens of lesser-known vloggers. Vlogumentary is set to release later this year. Take a look after the break.